The Detroit Tigers are bringing their winter caravan to the Michigan Humane Society’s Mackey Center for Animal Care at the Dresner Foundation Animal Care Campus in Detroit! 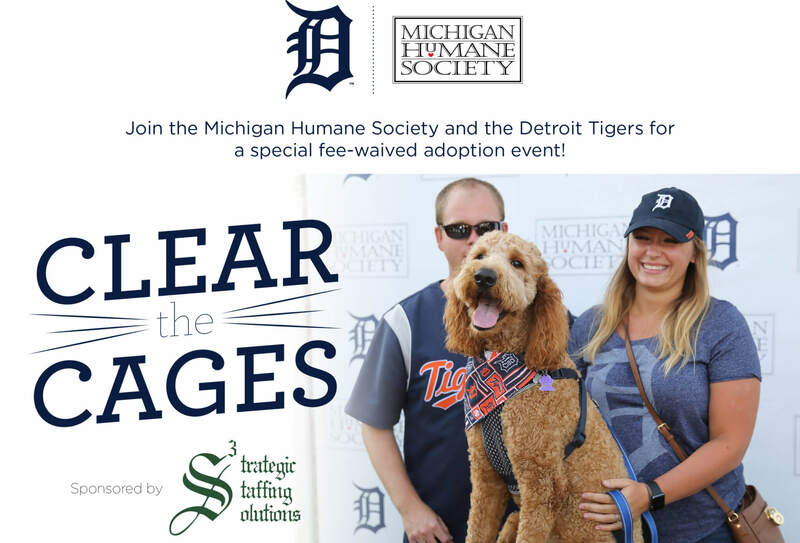 Tigers players, coaches, executives and legends will greet fans and help them adopt their next best friend. All adoption fees are waived during this event thanks to Strategic Staffing Solutions. Win MHS prizes and walk the adoption floor with the Tigers together. To see all of the animals available to adopt at MHS, visit our Adopt a Pet section.